Over the next four years, the number of daily U.S. drone flights is planned to increase by 50 percent. The U.S. Department of Defense is planning to step up the number of drone surveillance flights by 50 percent over the next four years the Wall Street Journal reports. A senior defense official told the Wall Street Journal that the Pentagon in particular seeks to improve its intelligence collection capabilities in places such as Ukraine, Iraq, Syria, North Africa, and the South China Sea. In detail, the new plan envisions an increase of the number of flights from 61 to 90 by 2019. The majority of missions are currently flown by the U.S. Air Force (USAF). However, in addition to around 60 USAF flights, the new plan foresees as many as 16 sorties flown by the U.S. Army, up to four by the Special Forces Command, and around ten by government contractors. The USAF currently shares intelligence feeds from 22 out of its 60 daily sorties with the Central Intelligence Agency. Back in October 2014, U.S. Defense Secretary Ashton Carter reduced the number of drone flights from 65 to 60 due to overworked USAF pilots and crews on the condition that the Pentagon would eventually increase its drone capability outside the USAF. The result was a plan that will gradually increase the role of other service branches as well as government contractors. By 2017, the U.S. Army is supposed to supply eight and government contractors six daily flights. In the South China Sea, the Pentagon has recently experienced difficulties in gathering reconnaissance data with China electronically jamming U.S. drone flights. 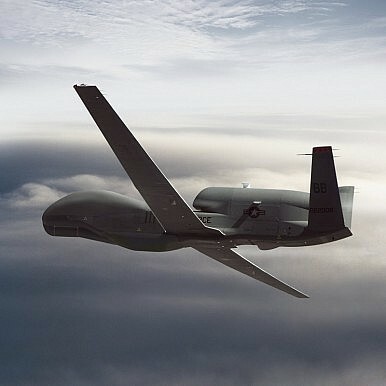 According to The Washington Free Beacon, the Chinese military electronically interfered with a Global Hawk Long-Range surveillance drone flight when it tried to gather data on Chinese military installations on the Spratly Islands back in April. UAVs [unmanned aerial vehicles] and ground stations are normally quite far apart and usually have to depend upon satellite communications. As long as we can disrupt its satellite communications, drones will be unable to carry out missions and will have to return its base. The USAF recently also announced that it would retire the General Atomics Aeronautical Systems MQ-1 Predator – the USAF’s principal weapon of choice in UAV airstrikes – by 2018 replacing all remaining Predators with the General Atomics MQ-9 Reaper Flight Global reports. “The air force is currently on track to retire all MQ-1 Predators and move to an all-MQ-9 fleet with an estimated completion in 2018,” a USAF spokesperson said on August 14. Next to intelligence, surveillance, and reconnaissance missions, the Pentagon’s new plan also calls for an increase in the number of lethal airstrikes which have killed around 2,400 to 4,000 people in Pakistan alone since 2004 according to statistics compiled by the Bureau of Investigative Journalism. The service is slated to switch to an all MQ-9 Reaper force by the end of this year.